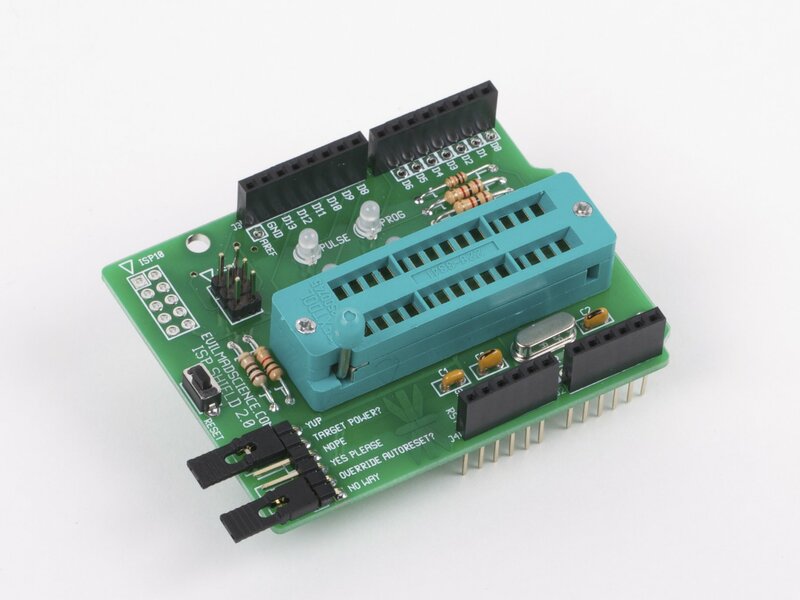 These 28-pin ZIF sockets are perfect for working with chips in narrow 0.3" wide DIP packages with up to 28 pins, including the popular ATmega48/88/168 series of AVR microcontrollers. 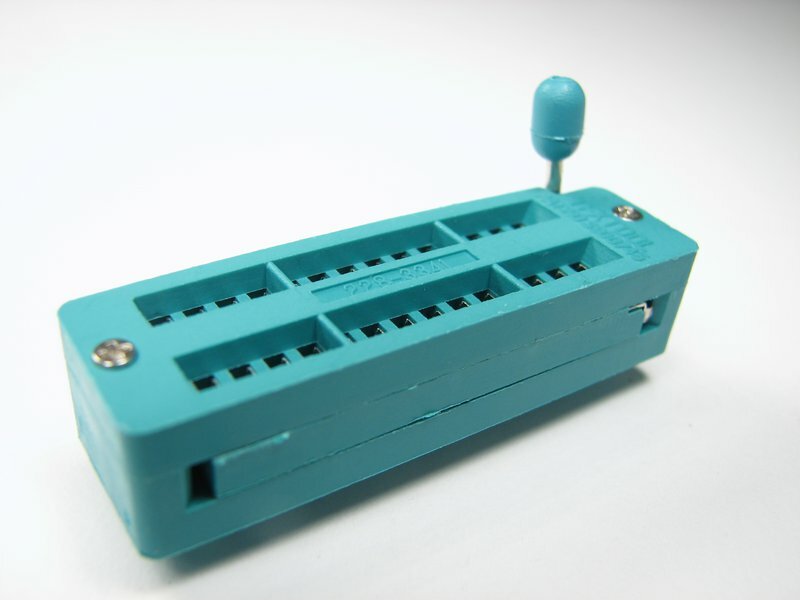 There are even little bars to indicate where to put a DIP-8 or DIP-20, if you want to use them. 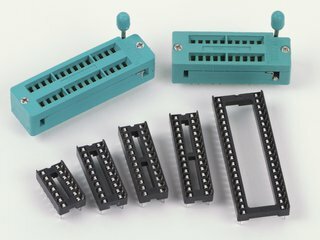 We use these sockets (amongst other places) for programming the ATmega328 chips that go in our open source Diavolino, Meggy Jr RGB and Peggy 2 kits. 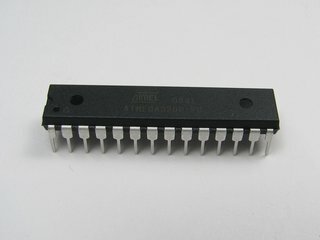 When using ZIF sockets, keep in mind that the pins are a bit wider than regular IC pins. 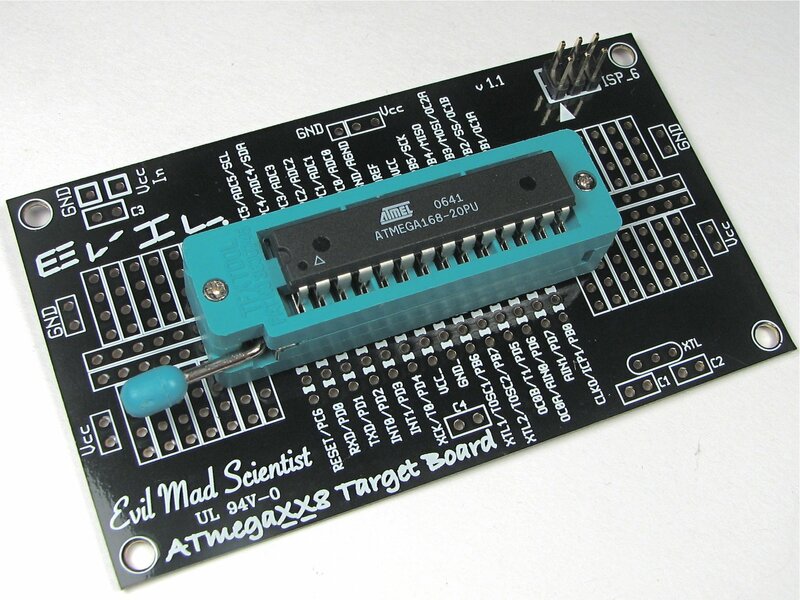 -- they fit in most pad-per-hole type prototyping boards, but may not fit in a chip socket or circuit board that was meant to hold a chip alone. 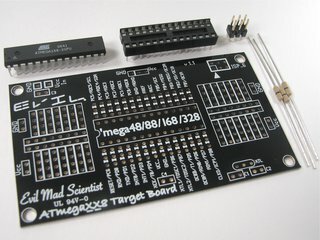 (They do fit nicely in current versions of our ATmegaXX8 target boards, for example.) 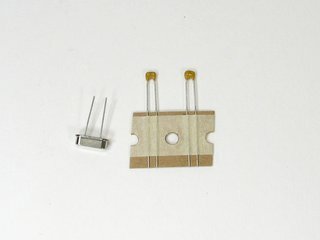 Specifically, the contact pins are 0.030 x 0.012", rectangular, phosphor bronze with gold plating, and have a 1 A current rating. 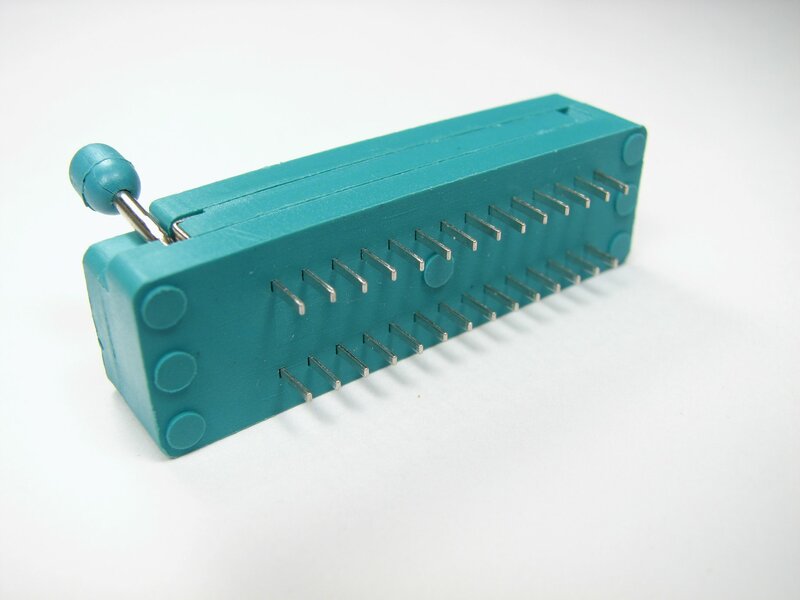 The socket height (with the lever down) is 0.46".